My name is Kasia Ku. I came from Hong Kong which is a densely populated city in Asia. This is my second week here! Everything here was new and fresh to me and I enjoyed this pleasure environment and natural landscape a lot. This workcamp is special and unique as it crossed over “Art” with “Agriculture”. 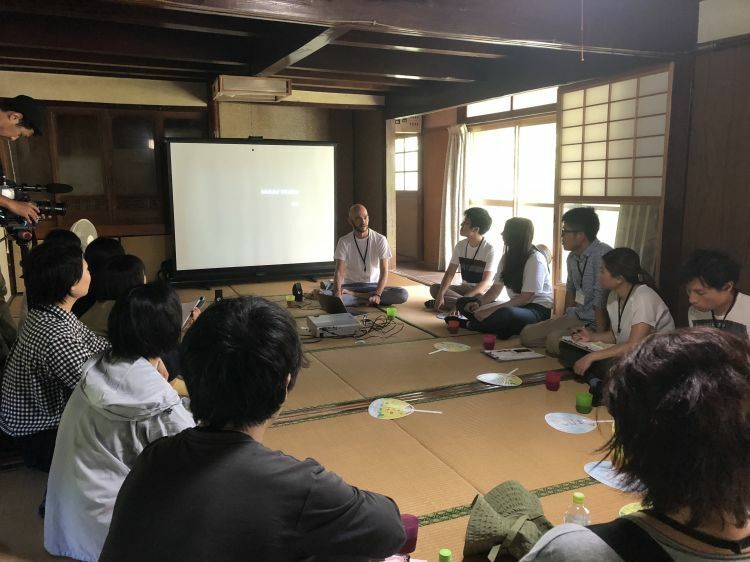 This week, we started our 3-days workshop with Kyushu University “Social Art Lab” and Sansonjuku(山村塾), we had over 20 participates from Japan, China, America and volunteers from Russia and Hong Kong. 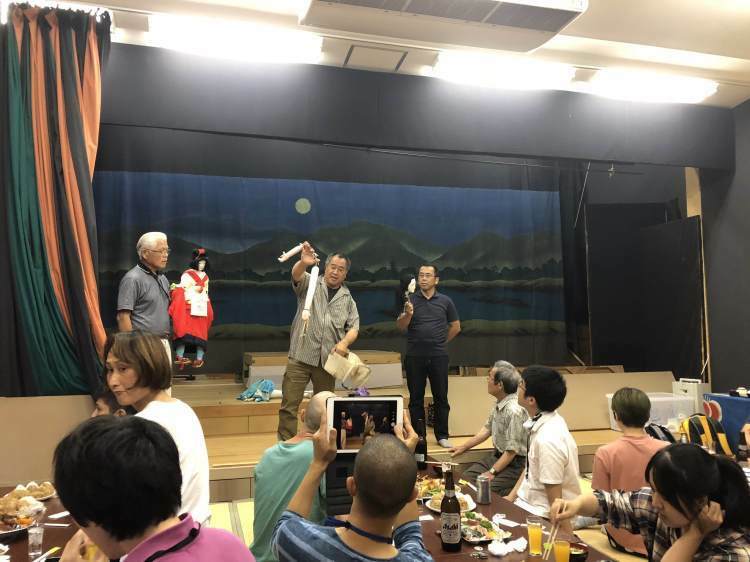 We were here to look for the opportunities of “Art” development in Kasahara area which is recovering from flooding damage and is facing the decline of population (esp. young generation). In this week, we worked together in groups to explore our answers for those questions. 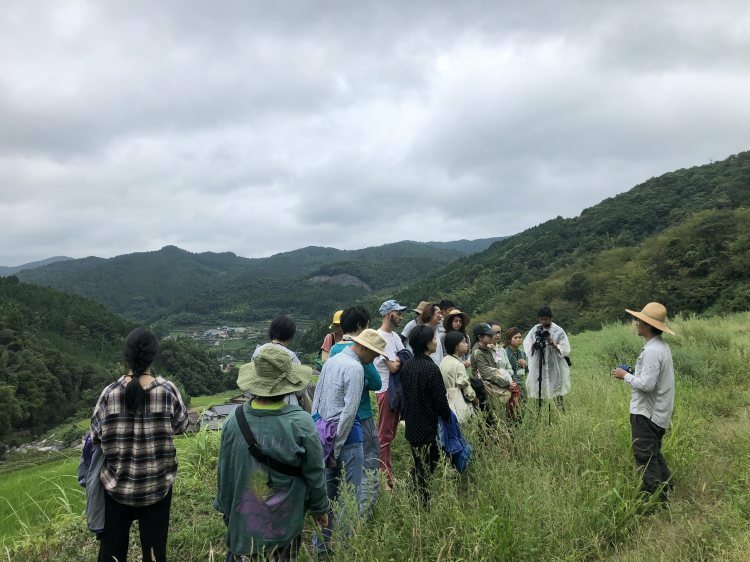 The workshop was divided into several sessions, including lecture, removing weeds from rice paddies, visiting local people and their public theatre etc. 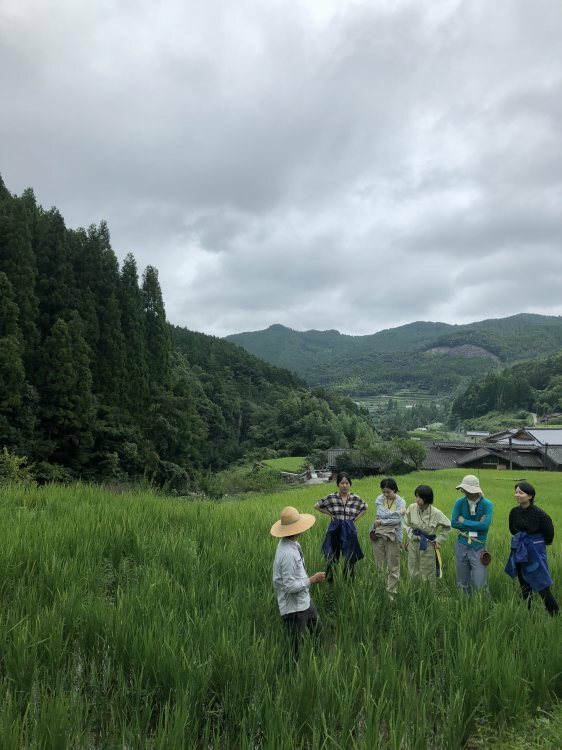 First we had to get used to simple living style in countryside, while at the same time we had to work as a farmer and also as an “artist”. Those experience gave me chance to look at problems from different perspectives. To me, this kind of “bottom up” design process is good to sustain local value and culture for future development. At the end of the workshop, we shared our experience and understanding about “Art X Agriculture”. And we wish to plant a seed of local “Folk Art” for the area! Although there are lots of constraints, there are lots of opportunities! Besides, for the daily routine, we shared our housework and one of the most interesting thing was cooking Japanese cuisine. 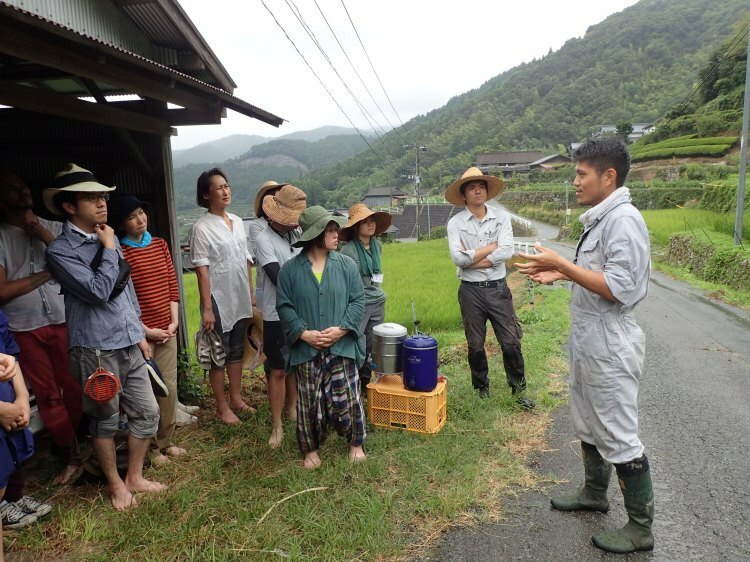 I was so impressed to the tidiness of Japanese and their sense of community. As we have to serve over 20 people, everyone tried his/her best to cooperate. We had lots of fun!